Youndoo virus. How bad is it? Youndoo virus was first detected in June 2016. Since then, it had its ups and downs while trying to become a popular headache of computer users. However, it seems that the virus is not done – security experts have just reported about the renewed activity of this browser hijacker. Could 2017 year be the year of Youndoo.com virus? We will see. Now you should take a look at dangers that it can cause on your computer. In the beginning it may look like a reliable search engine alternative and may trick you into thinking that it is as functional and secure as any other popular browsing tools. Unfortunately, that is far from the truth. The security experts deem Youndoo virus a for its peculiar quality of taking over browsers and setting its own web page as their primary search engines and home pages. What is more, the PUP is widely known for its redirect tendency which is not only annoying and disruptive but can sometimes have some very unpleasant impact on the PC. We will talk more in depth why this browsing tool should not be trusted and how to remove Youndoo from the system in the following sections of this article. As for those looking for a quick removal solution, we can recommend Reimage — a program which will ensure the full and removal of this potentially unwanted program. Youndoo.com virus is a sneaky browser hijacker which enters computers without asking user's permission and creates fake Chrome and Firefox profiles to control the browser. In comparison to other browser hijackers, say navigation.iwatchavi.com, which is overcrowded with unnecessary shopping and gaming platforms, Youndoo does not seem suspicious at all. Its style is specifically designed to create a sense of reliability. Nonetheless, this impression is instantly shattered once you start using this website as a regular search engine. First of all, you will notice its hideous tendency to drop you off on questionable domains . It wouldn’t be such an annoying issue if not for its potential damage. In other words, Youndoo.com redirect scope is not limited to advertising domains alone, but may include unreliable web pages with potentially malicious content as well. Thus, if the malware lurking out there infects your computer, your system programs may start malfunctioning or fake system error messages may begin popping up everywhere. Therefore, it would be wise to start Youndoo removal immediately. Youndoo developers do not step back and continue to improve the hijacker by introducing another feature which help to place and keep this shady marketing platform on the infected browser’s homepage. This feature involves creating a fake Google Chrome profile and running all of the Internet traffic through it . Not to look too suspicious, the hijacker transfers some of the users’ original content, such as extensions and browsing history to the new profile, but replaces the default search engine and homepage with Youndoo.com. Besides, this new alteration also prevents the users from changing the undesirable settings back to the regular ones, even if the new profile is deleted. Instead, hijacker reappears every time the browser is rebooted. 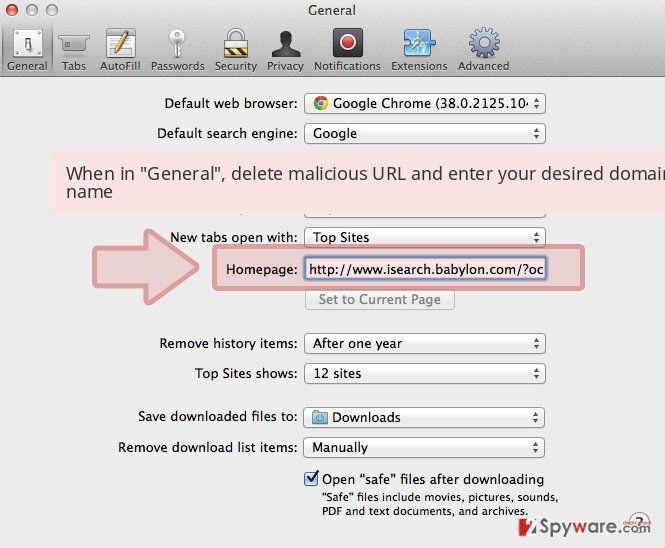 To find our whether your browser is not manipulated by this sneaky infection, you should go to the browser’s setting and pay attention to the section “People.” A legitimate Google Chrome profile will feature a blue users’ icon with your chosen name or “Person1” if you are not logged in. The fake profile will most likely go under a name “user0” which will appear next to the current user. Plus, you will notice that the icon is grey instead of the regular blue. You should react immediately if you notice such changes and initiate an antivirus scan. 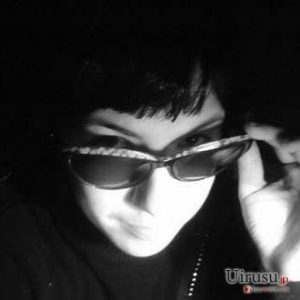 Just a few months ago, Youndoo began terrorizing Chrome users by creating fake profiles on this web engine and gaining control over its settings. It seems that now the hackers have turned their full attention to Mozilla Firefox. It sticks to its old ways of creating additional profiles and typically labels them as “Firefox Default” [red en-6]. In a way, this makes it easier to remove the virus, since you simply have to delete the undesirable profile from the list of profiles and setting “default” one instead. Unfortunately, this is not the only addition that Youndoo creators have implemented to the newest version of this malware. The virus is now able to Schedule Tasks that will automatically run every couple of hours, downloading updates or reinstalling the virus after attempts of removal. It might be difficult to notice such processes because the virus will try to run them silently in the background of your system. Thus, you can make yourself feel more secure by running regular scans of your system and allowing antivirus utilities to take care of the potentially malicious components automatically. This program spreads using software bundling technique, so when you are about to install new software, opt for “Custom/Advanced” settings. Only when you are sure that no attachments are pre-marked, finish the installation. Lastly, taking a glance at privacy policies and reading user reviews might also be useful in identifying whether this search engine is reliable or not. Please do not blindly rely on recommended installation settings (“Default/Standard/Basic”), because you might miss these offers and lose the opportunity to reject them. Another suspicious method that helps to implement Youndoo.com hijack is called DLL hijacking. This method has been discovered in August 2016. It appears that this browser hijacker is being distributed in the form of a bogus Wtsapi32.dll file, which originally is an essential system file, which is required to load a web browser fully. When this browser hijacker drops a fake Wtsapi32.dll file in browser’s folder, Windows loads it, but not the original file that is located in C:\Windows\System32 folder. This DLL file alters Windows Registry and makes the browser open a specified web page instead of default one. To fix this problem, the user needs to remove the wtsapi32.dll file from Google Chrome, Mozilla Firefox, and other affected browser’s application folders. That can also be done using malware removal programs. To remove Youndoo virus from your computer within few minutes, you should choose automatic removal option and install an anti-spyware program. To make sure that it protects you from other PUPs and viruses, we recommend updating it regularly. Keep in mind that a proper security program is not only necessary but also vital to the general protection of your computer. However, if you don’t want to install additional software on your computer, you can also perform manual Youndoo.com removal procedure on your computer. 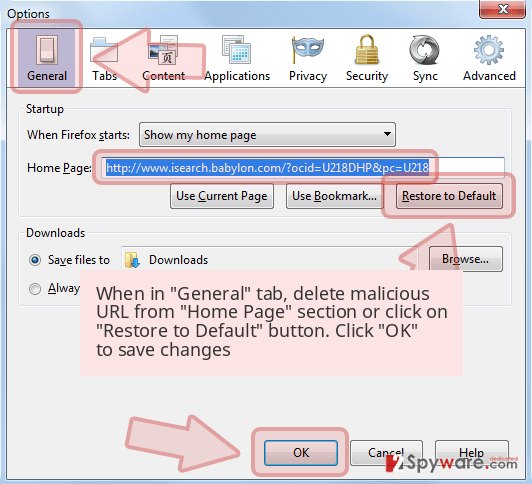 Make sure you go through each removal step carefully to prevent the reappearance of this browser hijacker. Though it might seem rational to remove Youndoo.com fake Chrome profile from your infected browser first, this step is not necessary. The fake profile can be eliminated by resetting the browser. But don’t forget that you have to delete the hijacker from your computer first. As we have mentioned, the virus runs on a fake Wtsapi32.dll file which you have to terminate in order to stop the virus resetting your homepage and default search engine. Please NOTE that you should be very careful not to delete the legitimate system file that goes by the same title! You should investigate the virus description before you do that and, ideally, scan the file with an antivirus scanner. In Add/Remove programs list, you should also look for an entries called youndoo – Uninstall, youndoo 1.0, or similar ones, and delete them. 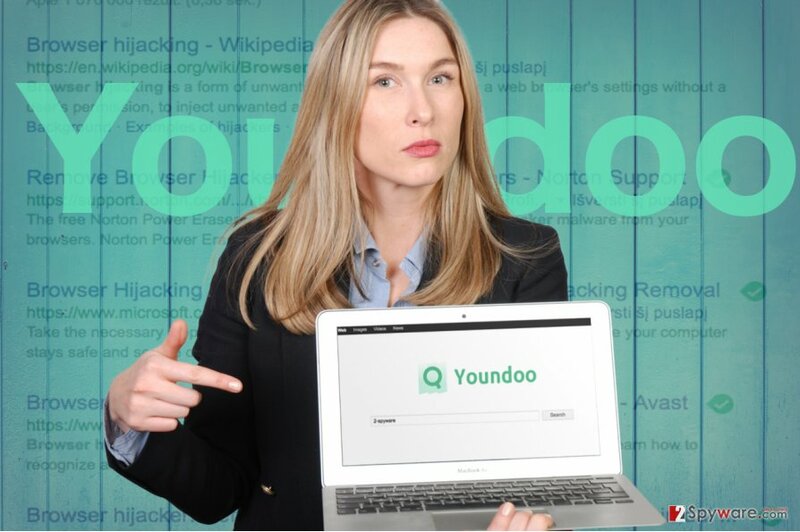 Here, look for Youndoo.com or any other recently installed suspicious programs. In case your Mac OS X has been infected with Youndoo.com and you see “user0” profile has replaced your regular Chrome profile, you shouldn’t rush eliminating this new profile from your browser directly. Instead, look through your recently installed programs, delete software that looks suspicious (youndoo – Uninstall, youndoo 1.0 or similar applications) and reset your browser. The instructions below will explain how this should be done step-by-step. When in the new window, check Delete personal settings and select Reset again to complete Youndoo.com removal. Once these steps are finished, Youndoo.com should be removed from your Microsoft Edge browser. To remove the fake Youndoo profile from your Mozilla Firefox browser you should first terminate every process that is running on your computer and then open the Run box by simultaneously pressing R and Windows keys. In the command window enter Firefox -P which will then open Firefox profile manager. In the new window select “Firefox Default” and click Delete Profile. 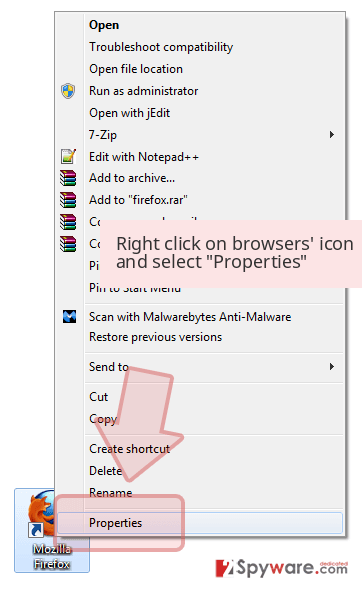 In the pop-up window, select the option “Delete files”. When you are back on the profile choosing window, select “default” or your preferred profile and mark the box saying “Use the selected profile without asking at startup”. Finally, hit the Start Firefox button. The browser should open your chosen profile and settings. 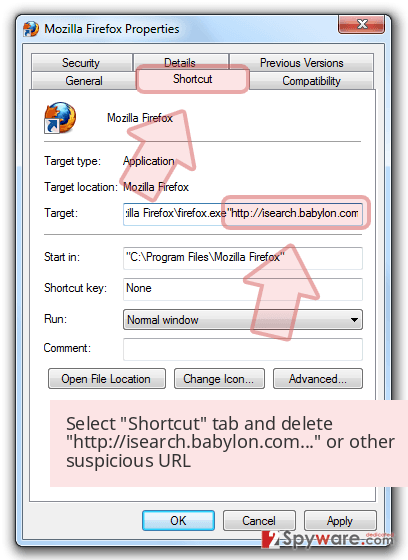 If these steps don’t help you reset your browser, you should follow the instructions presented below. Here, select Youndoo.com and other questionable plugins. Click Remove to delete these entries. Now you will see Reset Firefox to its default state message with Reset Firefox button. Click this button for several times and complete Youndoo.com removal. 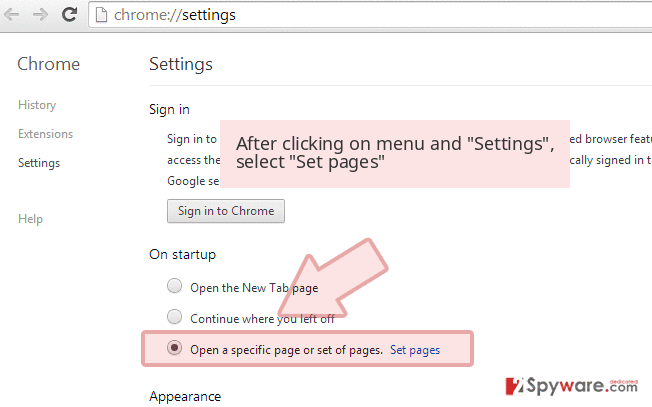 To reset the regular settings of your Google Chrome, enter the Chrome’s settings panel and find the section labeled “People” under this section, you will see all profiles that have been created on your browser. You should select the entry called user0 and delete it. Then, unmark the section which “Allow anyone add a person to Chrome” and select your preferred profile as your default one. Here, select Youndoo.com and other malicious plugins and select trash icon to delete these entries. Click Reset to confirm this action and complete Youndoo.com removal. ^ Fix your hijacked web browser. Microsoft. Safety . ^ Clint Pumphrey . How do advertisers show me custom ads?. Howstuffworks. The Tech Channel covers all the gadgets and technology you love to use. ^ What Is PPC? Learn the Basics of Pay-Per-Click (PPC) Marketing. Wordstream. Advertising made easy. ^ Pieter Arntz. Youndoo creates new Chrome profile. Malwarebytes labs. Official Malwarebytes Security Blog. This entry was posted on 2017-02-24 at 02:36 and is filed under Stealing programs, Viruses. How did you remove Youndoo.com?